Using an electric mixer, beat cream cheese, sugar and vanilla until smooth. Gradually add cream, beating constantly until combined. 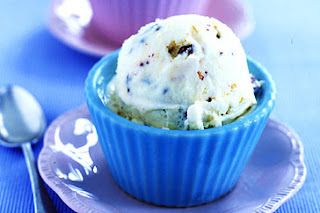 Fold cream cheese mixture and Toblerone through softened ice-cream. Transfer to an airtight container. Freeze for 4 to 5 hours or until firm. Serve.